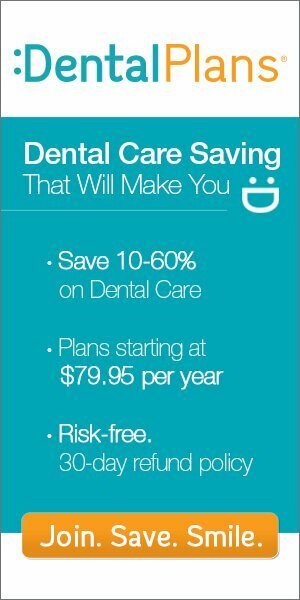 Do you know the difference between discount dental plans vs dental insurance? The difference is like the difference between paying full price and getting a nice big discount. No matter how you look at it, these are two different plans, each with their own benefits and restrictions. If you are considering any type of dental plan for yourself, your family or your group, think about which option is the best overall choice for you. Insurance is a product that is provided and paid into to provide coverage for a number of conditions. You need service, you contact the insurance provider, get the necessary information and approval, then move on to finding the dentist to do the work. Once you have the approved work done, the dentist must submit their claim to the insurance company who tells you just how much of a deductible you have to pay. It may be some or the entire price of the service. There is no discount here, it’s full price. With discount dental plans, on the other hand, things are a bit different. You visit an approved dental provider for whatever service you are looking for. If that service is one that is on your plan, you receive a big discount, from 10% on up to 60% of the overall cost of the procedure. All you have to do to get this discount is to simply show your dental discount card to the provider. It’s very simple. To fully understand the difference in these products for your dental care, consider a few more details about them. For example, with dental insurance, there are often many limitations on the services that you can have and there are often annual maximums that limit their use. If you plan to have a major procedure you may actually have to wait for a period of time for approval. Of course, you’ll have to pay rather high premiums for the services that you get from dental insurance as well. In most cases, people get dental insurance only when it’s provided through their employer as individual and family plans are often quite expensive to purchase privately. A big difference between dental discount plans vs dental insurance is that of cosmetic dentistry. Today, one of the biggest reasons people visit the dentist is not just for their cleanings and exams, but also for needs like professional teeth whitening and getting other cosmetic procedures done. The problem is that most dental insurance plans don’t offer any coverage for those procedures. You may not be able to afford them then. These things make dental insurance quite expensive considering the limits placed on you. On the other hand, you will find there are even more benefits to choosing the right plan for you. Dental discount plans vs dental insurance should be considered for these things as well. For example, there are few limits on the amount of use you can use per year with a discount plan. There is a large difference in the amount of paper work and hassles with discount plans as well as no health restrictions for those that can use them. Many of the better plans offer coverage that includes cosmetic dentistry as well as specialists for conditions such as TMJ needs, orthodontics and others. Best of all, virtually anyone can have these plans as they are affordable alternatives. Even individual dental plans can be had at an affordable rate without any ties to an employer. Should you give up your dental insurance then? You don’t have to give it up, especially if your employer is providing it. However, you should consider the benefits of having a discount dental plan at any point. There are many reasons why you will want to consider it. Just think about how many extra dollars you would have in your pocket for the dental care that you have paid for over the course of your lifetime that you could have gotten a discount on. Even more so, you don’t have to limit yourself to those procedures with your dental insurance plan offers. Now you can have the best smile based on your needs. You just need to consider the major differences between discount dental plans vs dental insurance and how they affect your individual needs. For more information, or to find a participating dentist near you, simply enter your zip code at Discount Dental Plans or in the light blue box at the top of the page. You can start seeing a dentist within 1-3 days!